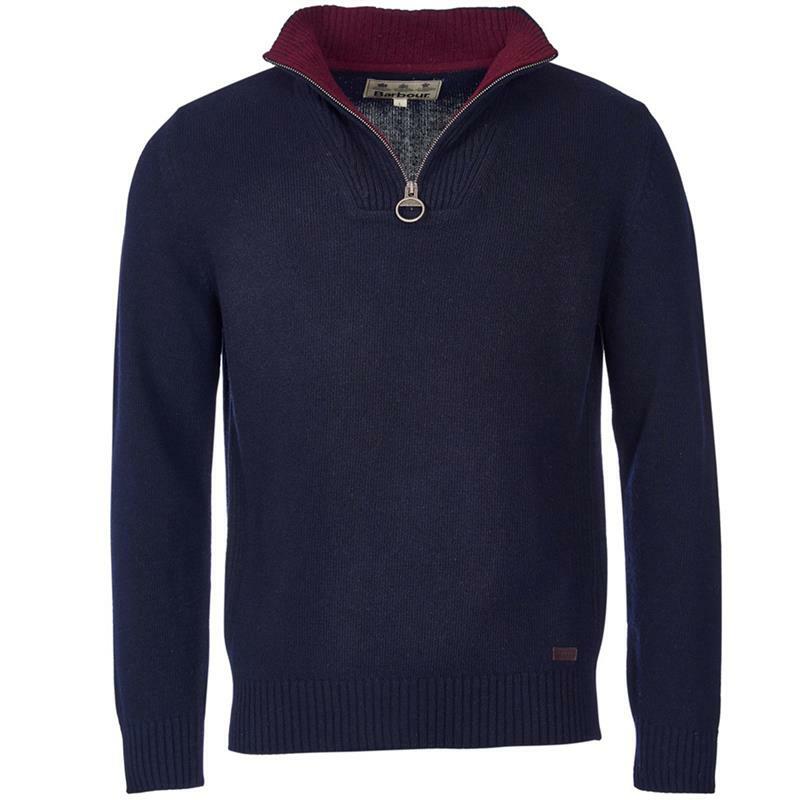 Barbour Mens Nelson Essential Half Zip Jumper - Navy. The Nelson Essential half zip jumper is crafted in 100% lambswool and features a zip-through funnel neck with Barbour-branded ring pull and a contrast inner back neck. Ribbing to the collar, hem and cuffs adds comfort and durability, and a subtle branded tab trims the wearer’s left hem.